During our working lives we spend roughly 90,000 hours at work. If you’re not happy in your job or career that’s a very long slog. All jobs have some tasks that are more annoying or boring than others, but if you’re finding all day every day completely boring and you can’t see any interesting tasks or projects coming up either in your current job or career, it’s a pretty sure sign you need a change. To stay interesting a job needs to challenge you so you can continue to learn. If you’re watching the clock (or Facebook) constantly at work and you’re there just for the money, it’s probably time. Do you find it difficult to get the energy to get your job done? Are tasks that used to be easy becoming harder and harder? Motivation ebbs and wanes for all of us (post-holiday blues anyone?!) but you shouldn’t be struggling to do everyday tasks all of the time. Time to do something that you are driven to do well. It’s true that many of us would rather not work as much as we do. But hating and dreading your job every day is a sign you need to find somewhere more satisfying to work. Do you wake up anxious about the idea of going to work, have nightmares about your work or feel panicky regularly at work? Make a change. Think about why you chose this job or line of work. Do you still connect with the passion or motivation that drove you to work in that area originally? If you no longer believe in that driver or you think you’ve contributed all that you can and you’re becoming bitter, perhaps it’s time to move on and find a job that puts a bit of fire back in your belly. Not really a people-person? Perhaps working in customer service isn’t the best option for you. You might more enjoy a career working behind the scenes, on your own or perhaps working with animals instead. Sometimes you just need to follow your gut instinct and do what suits you. We live in a changing world. Some roles and even whole industries are seeing less demand for their services because of technology, global changes and what the community wants. If you’re struggling to get enough work in your field or can see that you’re working in an industry with limited potential, maybe you should get ready for your next career now. Being happy in your work is not to be underrated. If you’ve always dreamt about working with your hands or working in a creative role, maybe it’s time to listen to your heart and do something you love. One study released last year found some interesting results. Florists and gardeners were nearly twice as happy as people in more prestigious and better paid jobs. It also found hairdressers, beauticians and plumbers were amongst the happiest professions. Spend time thinking about what your next career will be, think about what you value and what your strengths are. Research whether you need additional training, education, or certifications. Make every effort to speak to people currently working in that field – even if you need to cold call them, people are usually happy to share their experiences and insights. You can also find people in an industry or career through their professional organisation or union. Find opportunities to volunteer, intern or get experience in your desired industry while you’re still studying – it’ll be great for your resume and show future employers that you’re serious about working in your chosen field. Get going. Lots of training and courses can be undertaken part-time or off-campus and most TAFEs and Universities are still accepting direct applications for 2016. We offer courses in a huge range of areas, including Animal Studies, Hairdressing & Beauty, Trades, IT, Community & Children’s Services, Floristry, Music and Health & Fitness. Find a course that suits you. 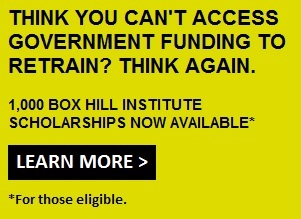 Box Hill Institute and CAE are currently offering 1,000 scholarships to help people wanting to retrain to get back into the workforce after a break or to make a career change. Scholarships are available for study in the Melbourne city, Lilydale or Box Hill. 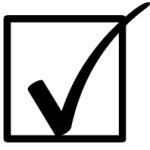 More information on how to apply for your scholarships.